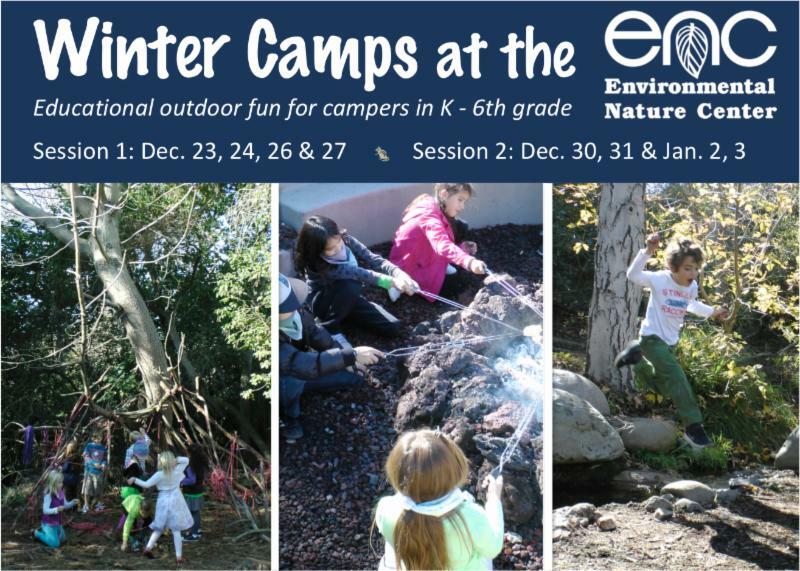 Time to start planning for your kids Winter Break activities, and the Environmental Nature Center in Newport Beach is offering an interactive camp for children in grades K-6th. The Winter Camp will have two sessions, on December 23,24,26 & 27 and December 30, 31, January 2, 3. Camp is from 9am to 1pm, and After Camp is from 1pm to 3pm. Campers will participate in educational, age appropriate, hands-on activities each day while broadening their knowledge and appreciation for the natural world. More information about Winter Camp can be found at the ENC website. During the first week campers will hike, meet live animals, play nature games, and make toothpaste for an elephant. They will be transformed into mini meteorologists and create clouds, work with whirlpools, synthesize snow, and learn about lightning. During the second week campers will feel animal pelts, sketch native plants, find a bugs’ favorite flower, conduct a blind taste test, write in Braille, and discover how animals move quietly. During “Nature Play” time they will be given the freedom to explore, imagine, and make up their own fun. In After Camp, campers will become Artists or Naturalists. The “Paint a Canvass” campers will spend four days working on one solid piece to hang in their room or give as a gift. Campers will observe and describe contrast and emphasis in works of art that highlight the environment. The “Becoming a Naturalist” campers will get the behind-the-scenes scoop on what it’s like to be a naturalist. Campers will work with and care for the animals at the nature center.